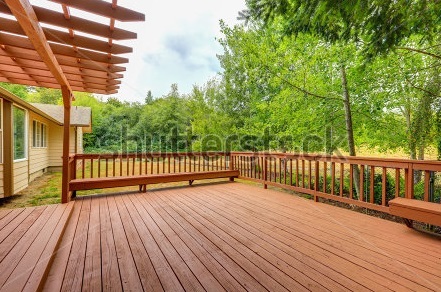 Ideal decking oil must meet the challenges made by natural deterioration of wood due to natural atmospheric changes, temperature variations, changes in moisture contents, mould and fungal attacks and ability for water repellence. Also it must have destructive UV rays absorption properties﻿. NARSO Decking oil is specially formulated to enhance natural beauty of decks and exterior wooden furniture, It is ideal solution for exterior deck and furniture protection and maintenance. NARSO decking oil contains specially filtered natural vegetable oils and resins. For best results it is added with advanced UV rays absorption additives, anti mold and fungus additives and water repellent additives. Uses – Decking, garden furniture, and exterior wood. Virtually it is ideal for any type of wood﻿. Maintain natural beauty of wood. Clean wood and remove loose particles, fibres, previous coatings or paints. Wood should be smooth and free from any dirt, water etc. Apply by brush of good quality. Remove excess oil by rags or brush. The layer should be uniform. Wood should be completely dry. No dirt, fibres, oil be there. Wood must be dried completely. For resinous wood, Must be dried minimum for six months before application. Remove paints or coatings by strippers. Do not apply while it is raining. Use respiratory mask and safety goggles.